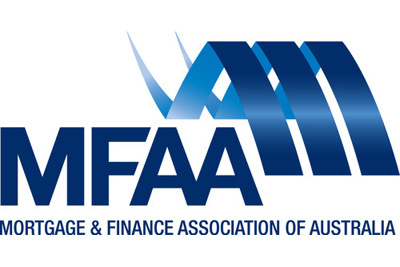 The MFAA National Roadshow, which brings together brokers, lenders, aggregators and suppliers from across the country, tours all major capitals across Australia, including Sydney, Melbourne, Adelaide, Perth and Brisbane. 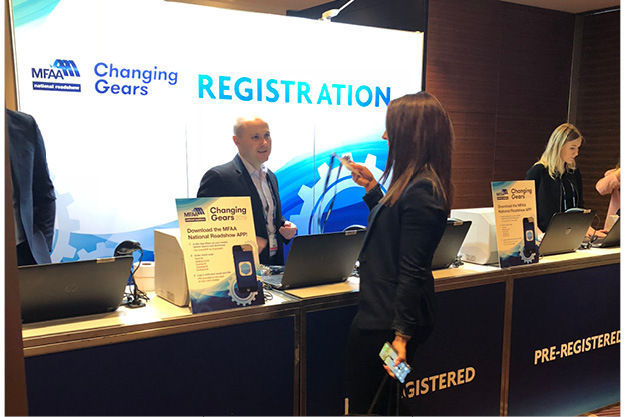 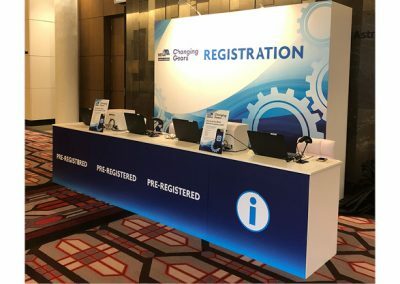 MFAA required a registration solution which integrated the pre-event online registration and onsite check-in and badge printing process. 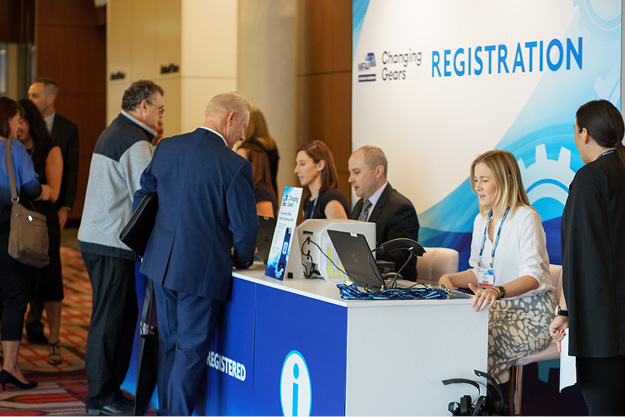 The credentials were produced onsite, on demand, from a branded registration desk. 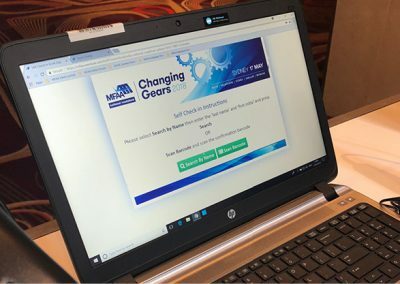 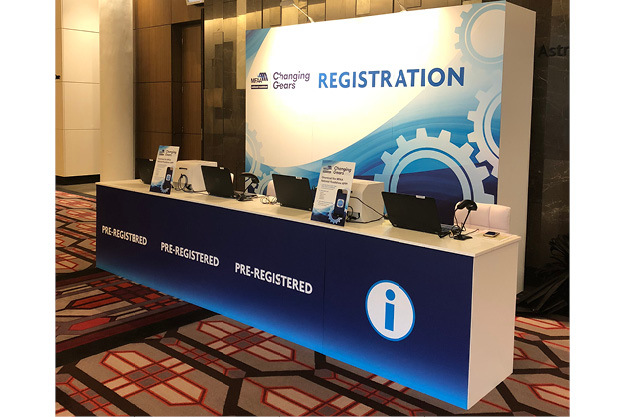 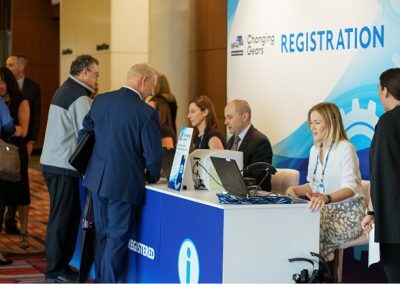 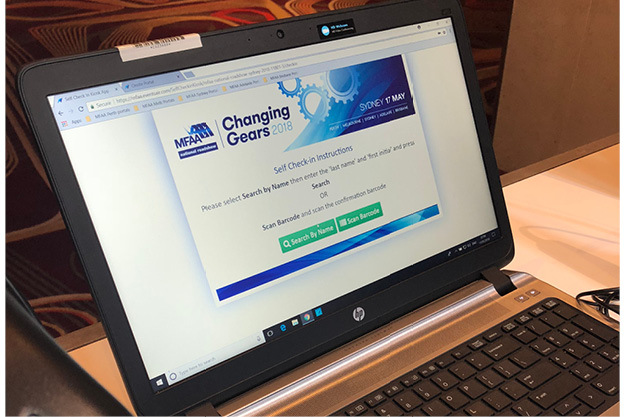 The desk were configured to display a simple check-in screen for MFAA staff, allowing them to quickly check-in and print badges for pre-registered attendees. 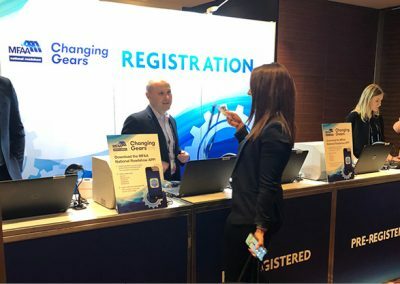 Our Touchpoint Specialist accompanied the Roadshow across the five cities, managing the full set-up and operation of equipment and solution for each event – providing continuity and consistency for each event.